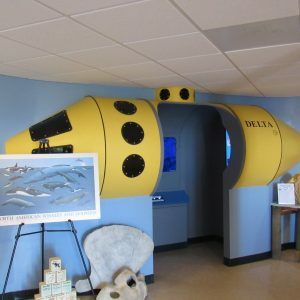 Dive into a hands-on, interactive collection of exhibits showcasing Monterey Bay National Marine Sanctuary’s presence off the coast of San Simeon. 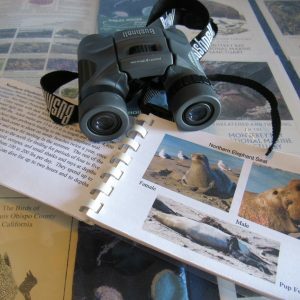 With the common goal to preserve and protect, the sanctuary teams up with California State Parks to bring awareness to San Simeon with the Coastal Discovery Center. 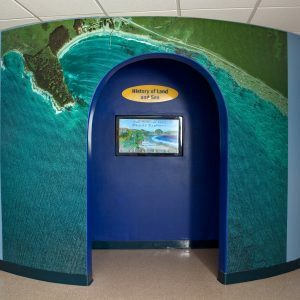 The Coastal Discovery Center celebrates the connection of land and sea through discovery, preservation and education. 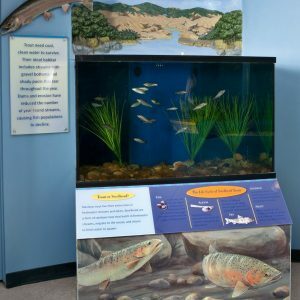 Collaborating with California State Parks allows the Coastal Discover Center to also feature the amazing Hearst San Simeon State Beach and pier within its exhibits. From San Simeon’s Native Americans to a whaling station, immerse yourself in the area’s rich history through a series of interactive touch screen exhibits. Test your hearing and try to differentiate the local elephant seal calls. 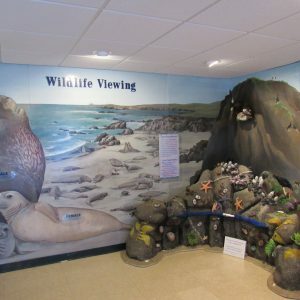 Touch and discover the 3D rocky tide pool and wildlife mural that depicts the typical seabirds and mammals seen on San Simeon’s beaches. Learn about the extinct Davidson volcano and the nearby 1,276 shipwrecks that have been reported. Make your own microscope slide of a drop of seawater and get a glimpse into the tiny life in the ocean. Follow the life cycles of Rainbow Trout and how to keep them healthy within their watersheds. To learn more about San Simeon’s role in the sanctuary’s preservation, check out the Coastal Discovery Center’s website.